As a current driver for Uber, it is important to form your personal Uber driver strategy. With a firm strategy in hand, you will be able to maximize your earning and start earning money. Your strategy will set you apart from other Drivers in your area. The first part of your strategy should be to get into the proper mindset. Uber for most is nothing more than a Job, hobby or something they do in their off hours. But for you, Uber needs to be a career. View yourself as a small business owner. This is what you are. With the mindset of a small business owner, you will be able to figure out your plan. Such as how to make money come in on a more consistent basis, with increasing income. This mindset will help you set yourself apart from the other drivers and grow your business. There are certain tricks you can use that will help you increase your income. All these ideas are completely legitimate and honest. In speaking with a few Uber drivers I found there to be a consensus. In most urban areas Uber will send out text messages suggesting where you should park. The thing to remember is you are not the only person who has received this text. Every member of the Uber community of drivers has also received this very same text message. So do not jump into this thinking you will make money because the text message says to go. In fact, some drivers will make less due to an over saturation of drivers in the local market arriving all at once. Another tip I have heard of is to use the passenger app. As a driver, you are not privy to the locations of other drivers. If you are using the passenger application it will show you where the other drivers are. This will allow you to plan out where you should park so you can get the most fares possible on a busy night. You will have the benefit of the app thinking there is an extra passenger looking for a fare in your location. I have also heard of some drivers selling local crafts in their cars. Such as having a jewelry display hanging on the back of their seats. With this approach, you are not asking the rider to buy the jewelry. Yet they will be looking at the pieces for their entire ride, so your chances of a sale are in your favor. So this approach can lead to some pretty nice supplemental income, on top of your fare. 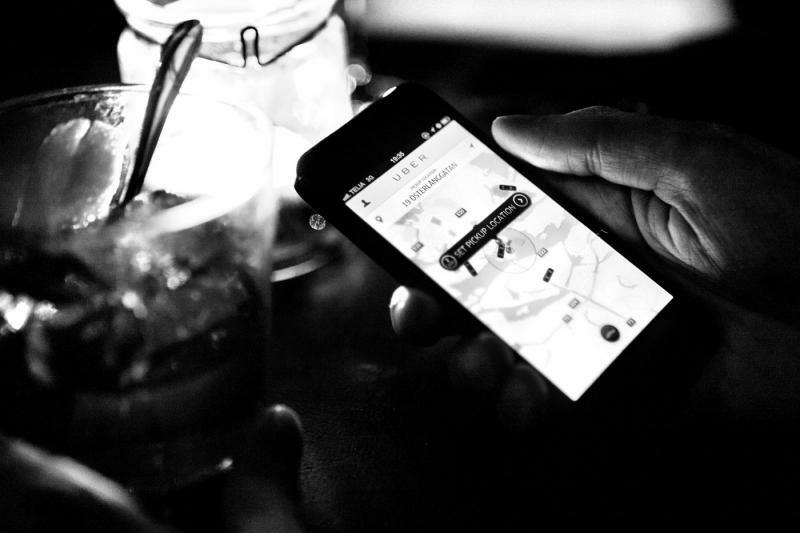 The rest of your uber driver strategy should include the basics. Knowing your area. Knowing the locations of good bars, restaurants, and restrooms. In addition, make sure you have a cooler of food and water for yourself. Take out and fast food costs out on the road are expensive will hurt your bottom line. You should stay central to your downtown area. If you drive around chasing fares all this will do is waste gas and cause unnecessary wear and tear. Always remember your vehicle is your livelihood, treat your car and riders with respect and you will succeed.